I don't read a lot of adult books but if I had to pick out my top five books ever most of them would be adult books. These are the ones I would recommend without question to other people as they are fab. I haven't reviewed them in full but I might do someday as it will give me an excuse to reread them. Maybe in the summer holidays.. If you love your World Wat Two fiction you will love this - it is an epic at a staggering 800 pages but it is totally worth the time and effort (I have read it twice and would certainly read it again. In a stunning tour-de-force, Marge Piercy has woven a tapestry of World War II, of six women and four men, who fought and died, worked and worried, and moved through the dizzying days of the war. A compelling chronicle of humans in conflict with inhuman events, GONE TO SOLIDERS is an unforgettable reading experience and a stirring tribute to the remarkable survival of the human spirit. A dazzling novel in the most untraditional fashion, this is the remarkable story of Henry DeTamble, a dashing, adventuresome librarian who travels involuntarily through time, and Clare Abshire, an artist whose life takes a natural sequential course. Henry and Clare's passionate love affair endures across a sea of time and captures the two lovers in an impossibly romantic trap, and it is Audrey Niffenegger's cinematic storytelling that makes the novel's unconventional chronology so vibrantly triumphant. An enchanting debut and a spellbinding tale of fate and belief in the bonds of love, The Time Traveler's Wife is destined to captivate readers for years to come. 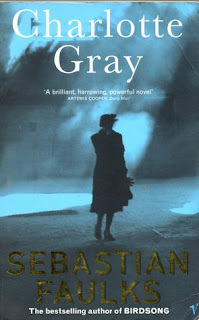 IN 1942, Charlotte Gray, a young scottish woman, goes to Occupied France on a dual mission:to run an apparantly simple errand for a British special operations group and to search for her lover, an English airman called Peter Gregory, who has gone missing in action. In the small town of Lavaurette, Sebastian Faulks presents a microcosm of France and its agony in 'the black years', here is the full range of collaboration, from the tacit to the enthusiastic, as well as examples of extraordinary courage and altruism. Through the local resistance chief Julien, Charlotte meets his father a Jewish painter whose inspiration has failed him. In Charlotte's friendship with both men, Faulks opens up the theme of false memory and of paradises—both national and personal—that appear irredeemably lost. In a series of shocking narrative climaxes in which the full extent of French collusion in the Nazi holocaust is delineated, Faulks brings the story to a resolution of redemptive love. In the delicacy of its writing, the intimacy of its characterisation and its powerful narrative scenes of harrowing public events, Charlotte Gray is a worthy successor to Birdsong. Wanderer, the invading "soul" who has been given Melanie's body, knew about the challenges of living inside a human: the overwhelming emotions, the too-vivid memories. But there was one difficulty Wanderer didn't expect: the former tenant of her body refusing to relinquish possession of her mind. Melanie fills Wanderer's thoughts with visions of the man Melanie loves - Jared, a human who still lives in hiding. Unable to separate herself from her body's desires, Wanderer yearns for a man she's never met. As outside forces make Wanderer and Melanie unwilling allies, they set off to search for the man they both love. Featuring what may be the first love triangle involving only two bodies, The Host is a riveting and unforgettable novel that will bring a vast new readership to one of the most compelling writers of our time. Can you recommend any other adult books I really should read??? I love your reviews; these little brief snippets of your top 5 adult books are wonderful. Short, sweet, to the point. I love the way you use words; probably because you actually speak and write in English, while most of the reviews and things I see are in American--we really don't speak English here in America, we speak American. Thanks a bunch for stopping by my blog and leading me to yours!! Oh I do so adore The Time Traveller's Wife. And Charlotte Gray - one of my favourites of Sebastian Faulks. 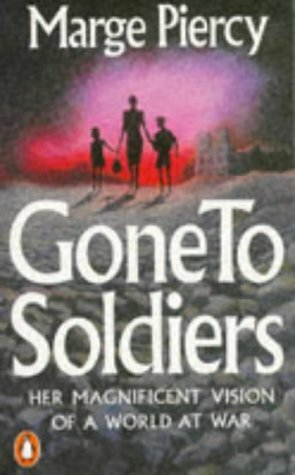 It's nice to see this list of adult books :) Not all YA all the time..
"Gone to Soldiers" sounds like it's right up my alley. Thanks for the suggestion! 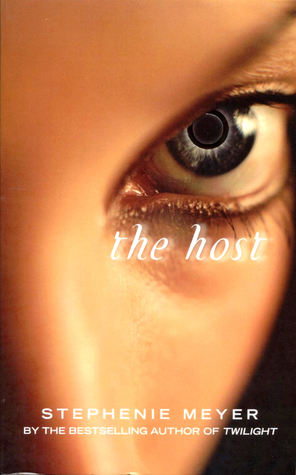 I read "The Host" and was not a big fan, sadly. Oh well! I loved loved loved The Time Traveler's Wife. It makes you cry both sad and happy tears. I think I might re-read it now. Great choice. The Time Traveller's Wife is definitely one of my favourite books too. I remember the first time I read it and cried absolute buckets at the end! I loved The Time Travellers Wife. It was awesome. Such a shame that Her Fearful Symmetry didn't live up to it. Maybe This Time, by Jennifer Crusie; The Guernsey Literary and Potato Peel Pie Society, by Mary Ann Shaffer; Water for Elephants, by Sara Gruen. I really enjoy your reviews, by the way! I couldn't get into the Time Traveller's Wife at all. I tried reading it twice. The last adult book I loved was Never Let Me Go by Kazuo Ishiguro. Amazing!